137 Touchdown Drive is designed with a timeless & understated elegance, the home was built to accommodate generations of family & friends. 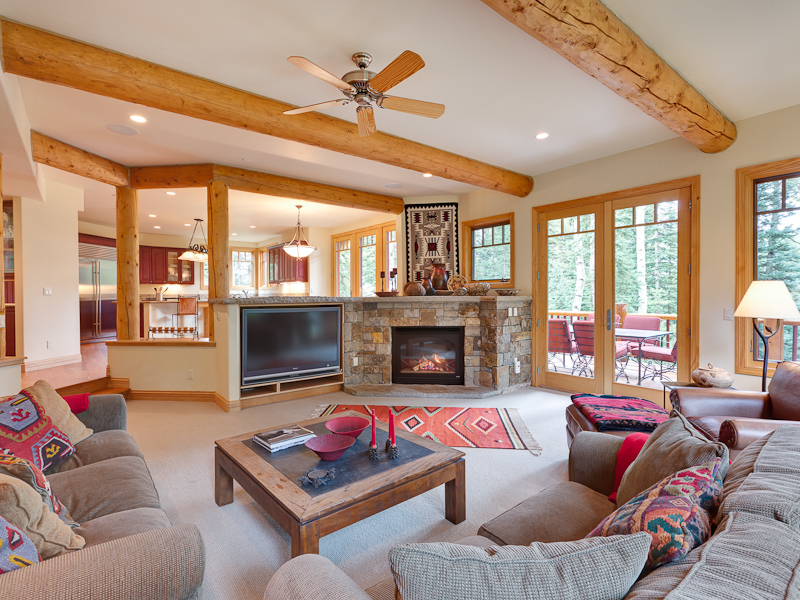 Set on a 2-acre south-facing knoll & overlooking the ski run and forty-acres of meadows, the home’s sun-washed living rooms & decks are perfectly-suited to year-round enjoyment. Custom-built by one of the country’s premier vintners, the residence is ideal for those who like to revel in gourmet cooking, fine wine and entertaining. Multiple guest suites open to great rooms & dining areas oriented around a grand wood-burning fireplace where Napa Valley meets the Rocky Mountains….A custom theatre, expansive recreation room, flight-tower office, fitness area, wine cellar & 2-bedroom guest house makes this a remarkable offering millions below what it would cost to recreate. For more information and images on 137 Touchdown Drive click here . 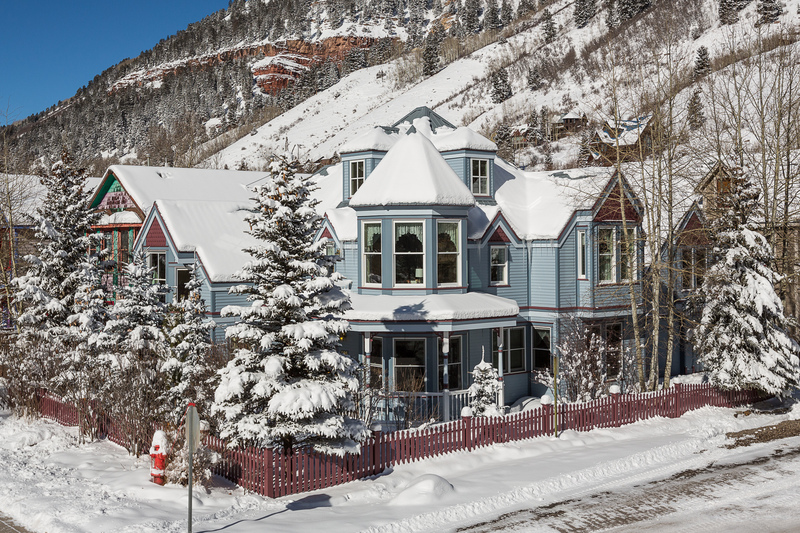 One of the most recognized residences in the Town of Telluride, this beautiful family home sits among manicured grounds just steps from the San Miguel River Trail, Town Park, and historic downtown. 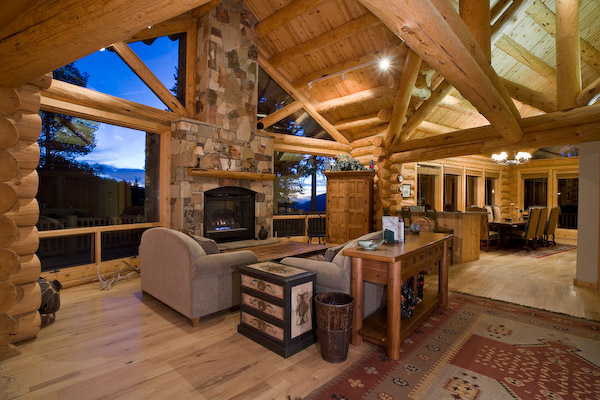 Vaulted ceilings and large windows offer dramatic views of the surrounding canyons & waterfalls. A separate two-car heated garage with guest house will easily accommodate extended friends and family. 120 High Country Road – Situated on a large and flat corner lot, this custom-built residence has been immaculately maintained since it was completed by the owner. The property borders Open Space on three sides, with a groomed ski run directly across the street. Timeless design with classic textures, colors and materials; clean lines, large sun-washed spaces, and generous sized living areas and bedroom suites. Mature plantings and large trees, along with expansive lawn area make for the perfect warm-weather relaxation or entertaining. This welcoming home is ideally suited for friends and family. Considered by many to be the finest residence in the Town of Telluride, 168 Hemlock St is the rarest of in-town offerings. Situated on nearly 4 town lots, the home is an artful collaboration between award-winning Aspen-architect, Charles Cunniffe & noted interior designer Catherine Frank/Studio Frank. The home’s rich & sophisticated tones, exceptional quality of construction, generous scale & warm & inviting interiors will satisfy the most discriminating tastes. Vaulted living spaces frame dramatic views of the surrounding canyon, while covered porches & decks inspire outdoor living. An open kitchen & dining area are perfectly suited for family & entertaining, while 5 generous Master & Guest suites accommodate guests. Theater, wine room, A/C, bar & rec room complete this storied offering. 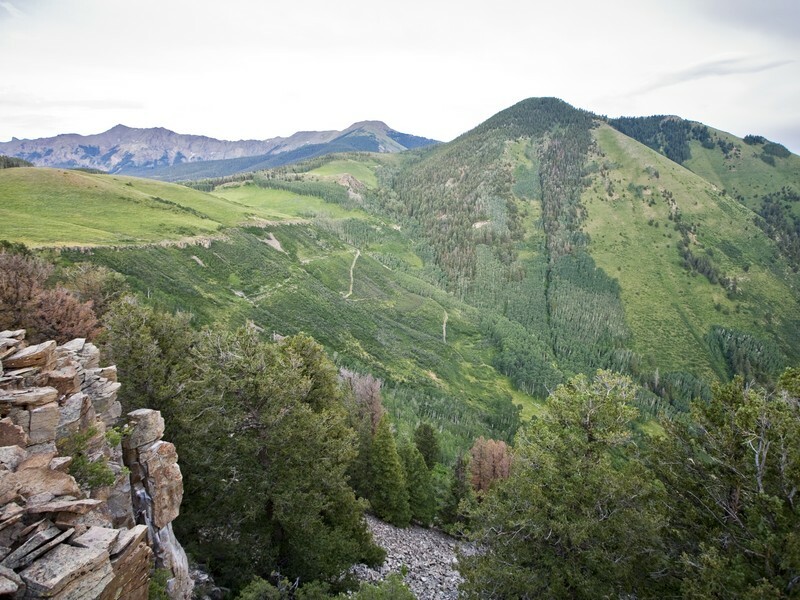 Mystic Valley Ranch – The chance of a lifetime to own your own alpine valley floor of over 300 acres! A true family compound with sweeping spectacular views from Lizard Head and the Wilsons, to Lone Cone, Hastings and unto the Uncompahgre Plateau. Very private, yet easy access on newly improved gravel road that is only 4 miles to the highway. Power and road to 3 building sites. Wildlife abound. Borders National Forest on 3 sides. Sawpit Creek offers water rights to owner, well in place. Hiking and horse trails. Incredible benches for building. Offers the opportunity to create a truly special getaway. Ballard Unit 204 is highly desirable, with views of the Ski Mountain in the newly constructed Ballard House North. This three bedroom, two bath unit is beautifully finished and furnished. 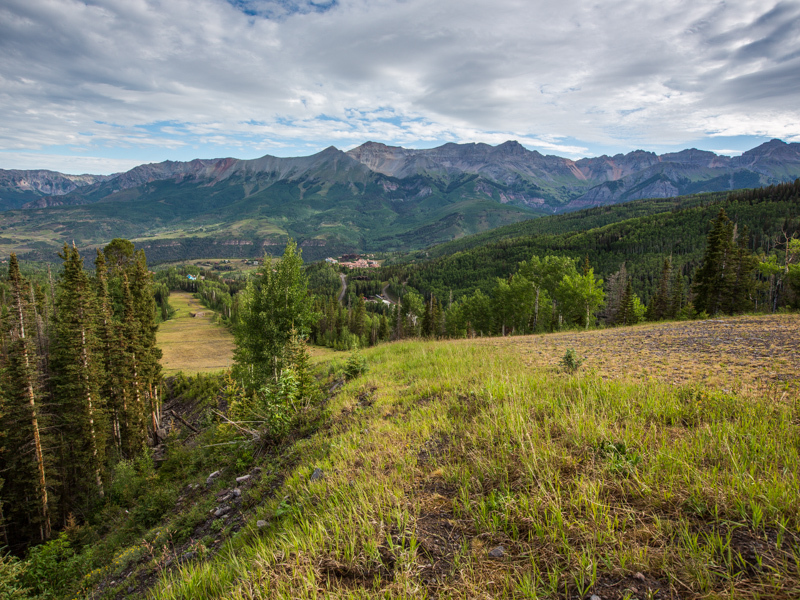 Ideally located in downtown Telluride with close proximity to the Gondola, restaurants and shopping. Underground parking included.